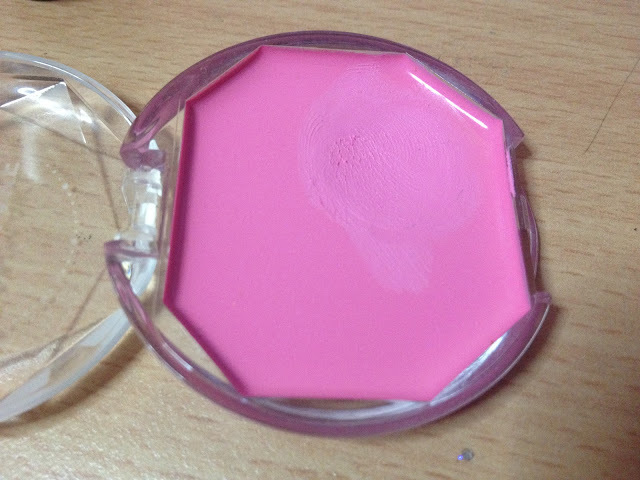 Item #1 of Project Use It Up: Canmake Cream Cheek 09! I just bombed about $300 on Korean cosmetics of various brands (lip tints, 4 boxes of hair dyes, eyebrow mascaras and etcetcetc), and just found out that this lil baby from my stash is expiring soon! 2013/03 so I needa hurry! 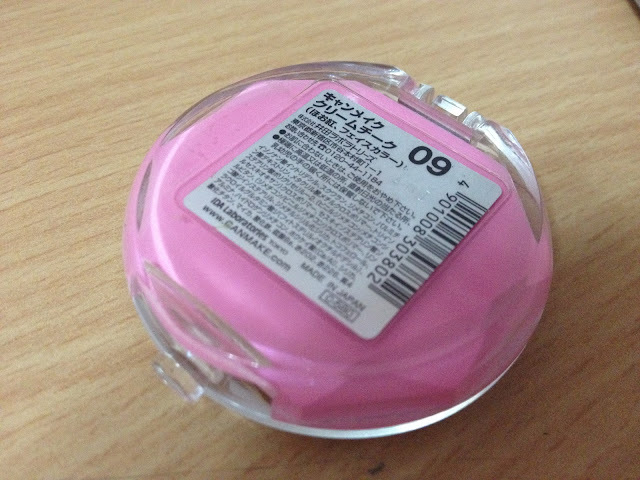 I bought it because it looked cute and *this was a limited edition colour* although I disliked pink colours. It was also the most pigmented out of the series! The orange was blehhh. It has microfine blue glitters and a cream-to-powder finish, so it actually doesn't feel sticky at all. And, it isn't very cheap. Can't remember exactly how much it was but it was about $17 or $16 for this tiny amount. Infact, its packaging was also pretty witty because its surface was wide enough for you to use a finger instead of a brush.. as compared to a certain other "K" brand which stores it in a gel liner kinda jar. Icky finger dipping! Bless my poor weak heart for orange orange makeup - Canmake just released some awesome orange blushers! I've been resisting them for weeks now, but they look so pretty I want I want I want!! But when I think of the amount I just bombed awhile ago, yeah I can take the resistance!